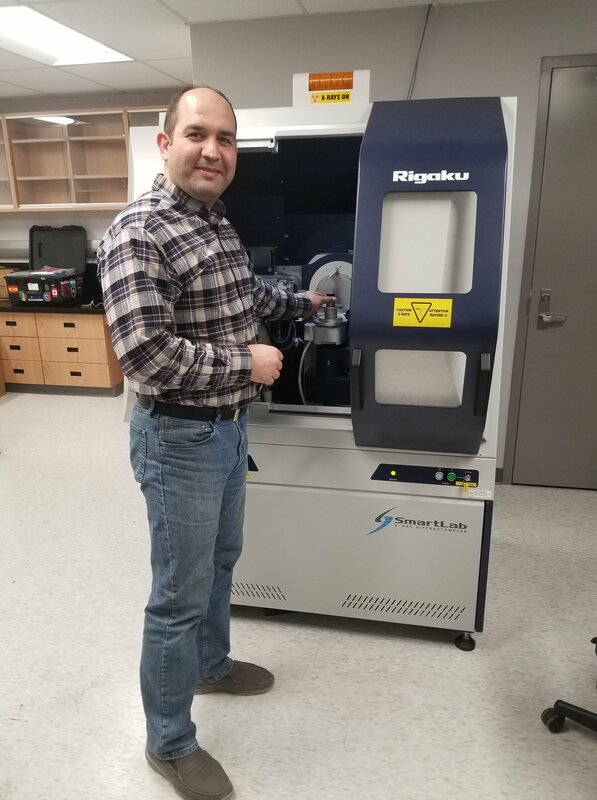 Our brand new Rigaku SmartLab X-ray Diffractometer has recently been installed and commissioned at Surface Science Western (SSW). This versatile instrument is capable of analyzing powder samples, solid metal samples, and thin films. The In-Plane diffraction attachment allows the measurement of structural factors and reciprocal space maps from ultra thin (~100 nm thick) films and can generate full pole figures without the need for sample remounting. 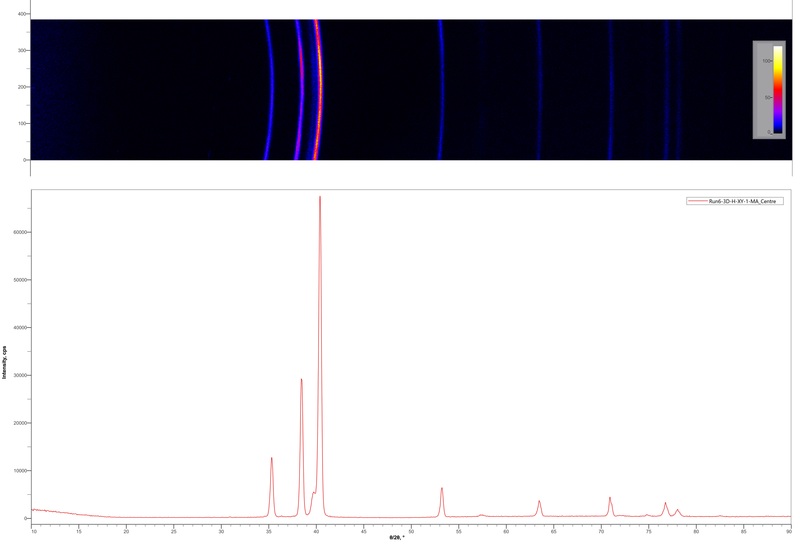 The HyPix 3000 2D detector enhances the signal to noise ratio quite significantly (resulting in much-reduced analysis times) and can be used to determine the thickness of thin films, measure residual stress and lattice strain in materials, and determine the crystallinity. The small angle X-ray scattering (SAXS) attachment enables pore and particle size distribution analysis, measurement of long periodicities, and nanoparticle modeling.